„King of cods“ was the Name given by fishermen to Atlantic cods (Gabus morhua) with a rare cranial malformation of the head which results into a pug-face-like shape. 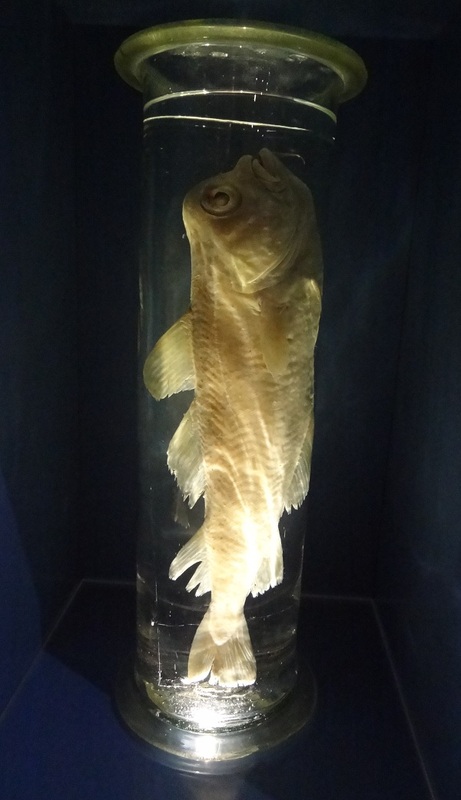 This specimen was caught in the waters of Eckernförde in 1869 and was part of the ichthyological collection of zoologist Karl August Möbius. 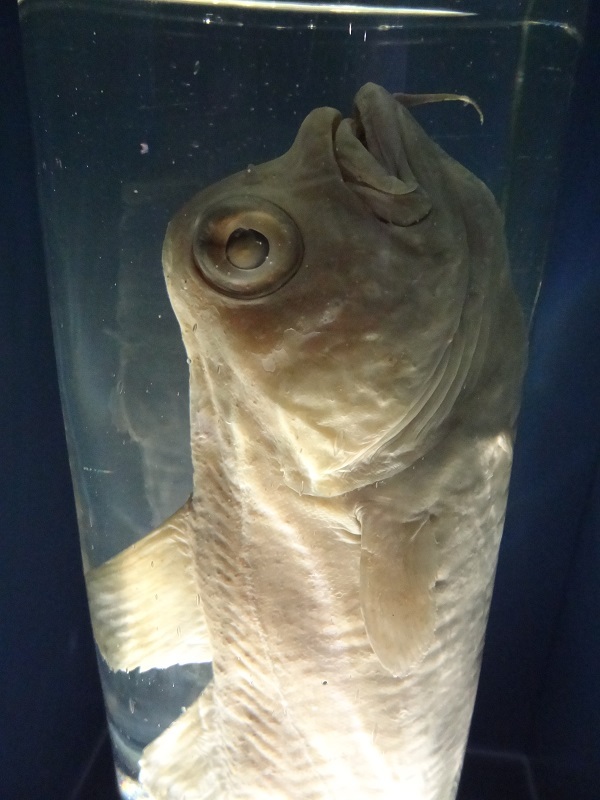 This kind of malformation is not just found in cods but also known from many other fish species. You can see another example of a small king of cod specimen here. In salmonids this can be for example the result of an infection with Myxobolus cerebralis, a myxosporean parasite which can affect the skeletal development in young fish. But there are of course also other factors which can lead to cranial deformations, so it is often quite hard, if not impossible, to trace back the original cause. 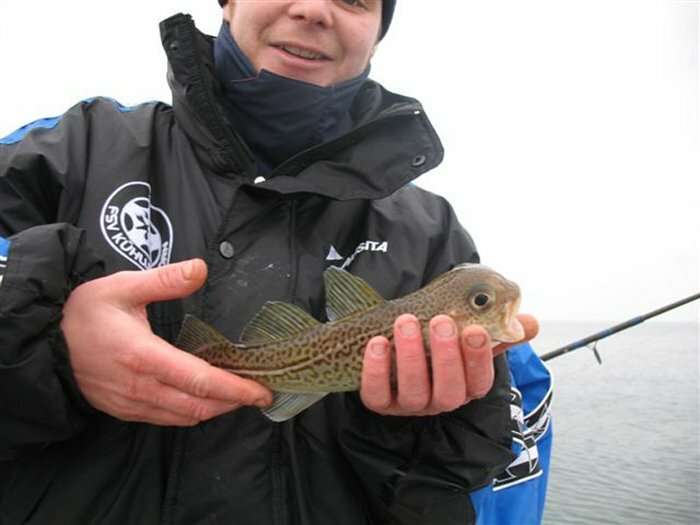 Dieser Beitrag wurde unter Bild des Tages, Fische, Teratologie veröffentlicht. Setze ein Lesezeichen auf den Permalink.